Bermuda 419 is a hybrid Bermuda grass that was released by the University of Georgia in 1960. Due to its intense green color homeowners love this grass for their lawns, but it is also well suited for fairways, roughs and tees. 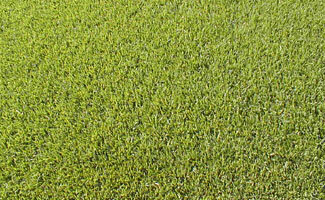 It is able to maintain its green color longer than other selections of Bermuda grass. It has proven itself to be disease and insect resistant. Water your new lawn to keep it moist for a period of 2 weeks or until sod is rooted. Mow as soon as your new lawn is rooted - at the recommended height(see table below). Fertilize your new lawn once rooted. Mow with sharp mower blades. Water to supplement rainfall shortages only. Avoid fixed timer irrigations settings. Bermuda best performs when it receives approximately 1 inch of water per week. If one or more inches of rainfall occur in a week,additional irrigation is not necessary. Do not water by over watering.